For those who read this and are not aware, the CLC has been on a full hiatus since May of 2018. By this I mean that there are currently no paid staff, there is no location, and their are no enrolled families. What then remains of the CLC? A vision is all that currently remains of our program for the moment. It's a collective dream that perhaps there is a way to educate children which honors their humanity, individual uniqueness, and personal passions. A way for child to learn which reignites their innate curiosity, passion, and unlimited creativity. An environment that is safe, healthy, and engaging. A program which will not only help them create a better tomorrow, but that immediately helps them to live a better life today. Why then the hiatus? Many schools and programs promise to aim for similarly lofty visions as the one I've just described, yet few manage to actually create it. The CLC had done much in the way of achieving these aim, but it's trajectory was gaining momentum along a path of a cultural and educational philosophy which ultimately would not live into the vision I've dedicated my life to manifest. What lead to this? A myriad of things lead to this hiatus but ultimately I am to blame for shutting things down. I have the firm belief that it will be far better to suffer the hardship of short-term failure so that we can reorganize and reorient ourselves to head down the path of long-term success. However, this choice is not one I lightly made. Rather, it's consequences have weighed very heavily on me and I have spent the past two months in deep reflection. What's Next? This summer has been a time of reflecting on what went wrong, recuperating, and also reinventing. 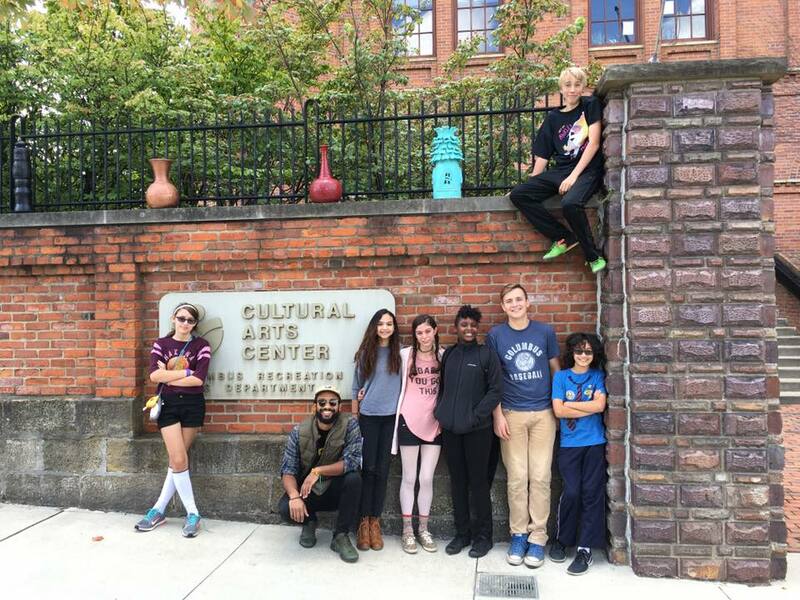 I've traveled across the US visiting, researching, and learning from various alternative schools and programs. There is one school/program in particular that has stuck out to me; it's called Acton Academy. In the next post I will take some time to explain what it is about Acton that melds so well with the CLC and it's vision, but for now I'll give you a short intro. Acton Academy believes that "each of us has a special calling in life, and a series of trials and tests that must be faced with integrity and purpose, in order to live a satisfying and fulfilled life. Our mission is to prepare your child for his or her hero's journey." Lastly, I'll leave you with a video which will hopefully inspire you as much as it has me. If it does, let me know so we can all work together toward creating a beautiful educational opportunity. 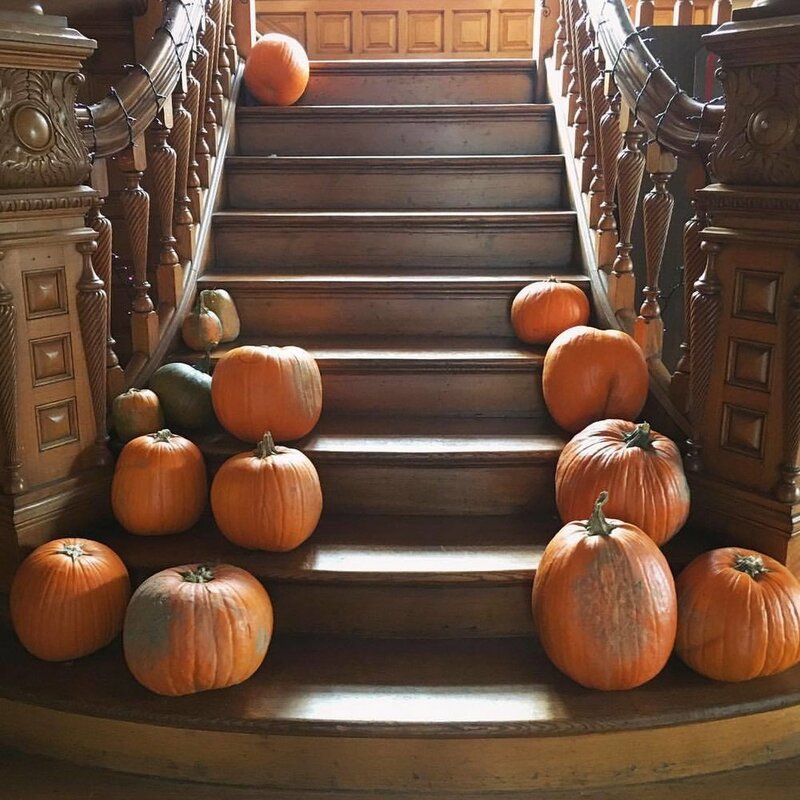 As yesterday was Halloween, we thought we'd dedicate this newsletter to sharing some info about the big, beautiful (and sometimes spooky) mansion that the Columbus Learning Coop has been calling home for the past year and a half. The W.H. Jones Mansion was built in 1889 for William and Josephine Jones at 731 East Broad Street, a wide, tree-lined boulevard. It was originally built for 11,250 dollars (about 300,000 dollars in modern day USD). These illustrations of the W.H. Jones Mansion are from the digital archives at the Columbus Library. William H. Jones was born in 1842 near Zanesville, Ohio. He married Josephine C Grummon in 1865 and together they had a daughter, Dorah Jones. The family lived in Toledo before moving to Columbus. Jones made his fortune as a wholesaler of "dry goods," which were considered to be textiles, sundries, and even some furnishings. He was first a proprietor of Jones, Garner and Co., and then Jones, Witter & Co. According to census documents, the Jones family occupied the mansion with their various servants and coachmen until William's death in December 1922 and his wife's death the following December. 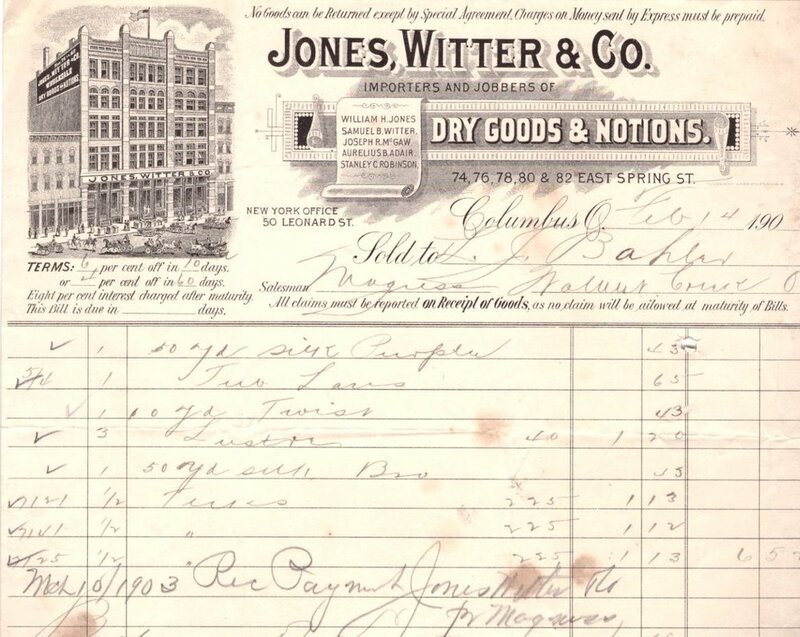 This is an invoice from Jones, Witter & Co from the early 1900s. The building pictured, located Spring Street, burned in a disastrous fire in 1894. Our little Hogwarts, takes influences from many styles of architecture including Queen Anne and Richardsonian Romanesque. It was built of red pressed brick on high ashlar stone, with a hip slate roof. Other distinctive features include the ornate friezes and lintels that adorn the outside of the building, a corner turret, and a third story ballroom. The rear carriage house is one of the largest and most elaborate carriage houses remaining in the city of Columbus. This map from 1899 shows the mansion and it's rear carriage house at 731 East Broad Street. The legend goes that Jones modeled his home after another in Barnesville, Ohio- which is apparently no longer standing. According to the story, the Barnesville mansion was built by a man with a very sickly daughter. He consulted a soothsayer, who told him to build a house with protective numerology in the architecture. The house (and it's alleged copy) was built with ceramic gargoyles to ward off sickness and specific numbers of steps up from the street, columns around the front porch and twists in the ironwork, all in groupings of threes, sevens and nines. Glimpses of the hand-carved woodwork on the interior of the W. H. Jones Mansion. After some research we found no proof of such a mansion in Barnesville. Yet, we did find an almost exactly duplicate mansion built on East Ferry Avenue in Detroit, Michigan (pictured on the left or top below). The two are almost identical. In fact, when we presented our members with the two pictures and asked which mansion was ours, the majority picked the wrong one! 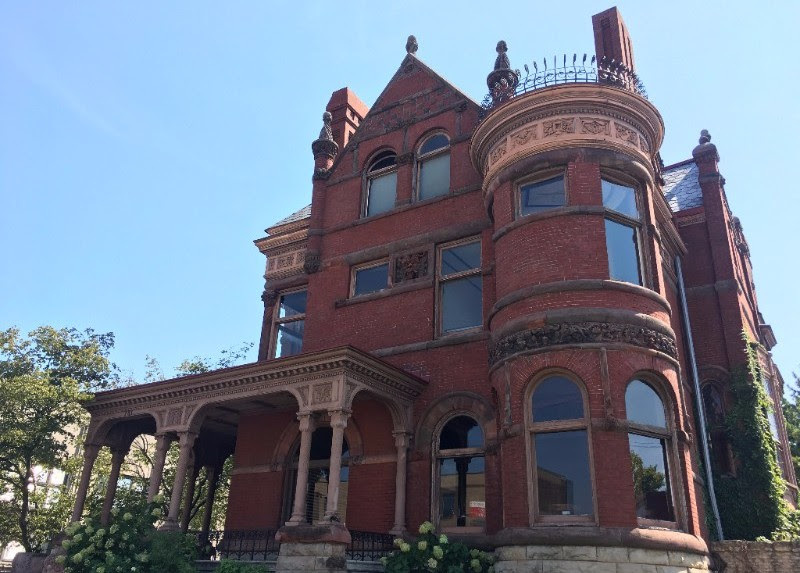 The Detroit mansion was originally owned by George A. Owen, who coincidentally also worked for a dry goods company. The Owen House, which is now operating as a bed and breakfast, was a project by renowned Detroit architect John Scott. It was built from 1886-1887, a full two years before the W. H. Jones Mansion was completed. So, why are they so similar? Did the two men meet while in the dry goods business? Did they both model their mansions after a long-gone Barnesville original? It remains an intriguing mystery. 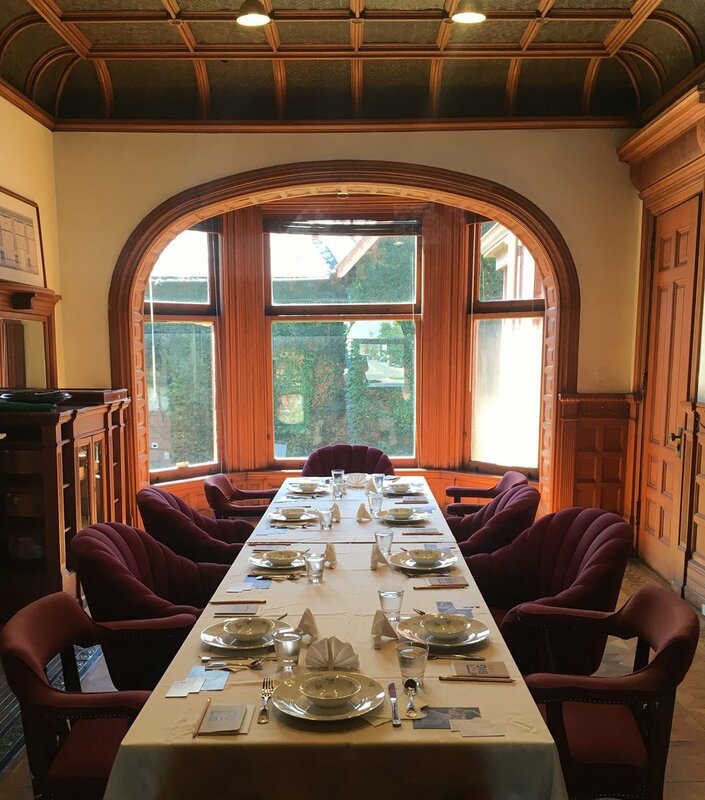 Since 1922, the house has been the home of the Schorr Ketner Furniture Company, as well as many offices including that of a lawyer, and a construction company. Most recently, it was home to Local Matters, a community food advocate. The building was declared a National Historic Place in 1978, when it was in danger of being demolished to make way for a Long John Silver's restaurant. It was also chosen as the Decorators' Show House in 1987. All we can say is that we feel lucky to call the W. H. Jones Mansion our home, and that the special magic of the place feeds our inspiration to learn every day. Happy Halloween! Sources for this newsletter: Columbus Dispatch, Columbus Library Digital Archives, Old House Dreams, Wikipedia, National Park Service, Ohio Department of Transportation, The Inn at Ferry Street, Columbus Neighborhoods, a Guide..., and Ohio Historic Places Dictionary. As the summer draws to a close, our community has once again been drawn back into the halls of the CLC, for another year of learning without school. We had a successful fall pitch day on Friday, and our first classes of the semester started on Monday. We've been getting to know our new members and reconnecting with old friends. Already the days are full and fruiting! Here's a selection of just a few of the classes that made it on the schedule for the first part of the fall: Genealogy, Printmaking, Hiragana, Outdoor Play, Rock Climbing, Art Appreciation, Reading, Odyssey of Us, Coding, Social Justice Theater, Music, Spanish, How to Convince Others (Logos, Ethos, Pathos) and more. We'll have two other pitch days this fall when as old classes end, new ones will sprout up in their place. The CLC is always looking for more subjects and skills to share with our members so if you have an idea for a class, let us know! We've met with dozens of potential volunteers, families and their children and curious community members over the past few weeks in preparation for the beginning of the year. Often people will ask questions like "what type of students come here?" or "why do they come to you?" It's not a simple answer as there is no one typical type of member at the CLC. 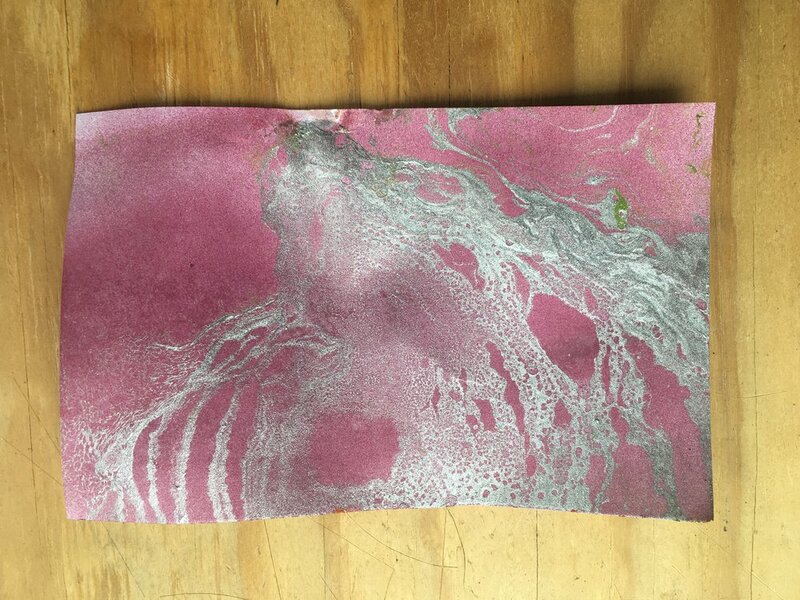 Cary is teaching a Printmaking class and they've been doing some experiments with spray paint on paper. Our members represent a wide range of racial and ethnic backgrounds. They come from all over Columbus: Hilliard, Franklinton, Westerville, Downtown and more. We are a secular coop- but we have families from across the spectrum from religious to atheist. They represent different economic situations, family structures and experiences with education. Some of our members join us because they were not being challenged enough; some join because school was an endless daily struggle. 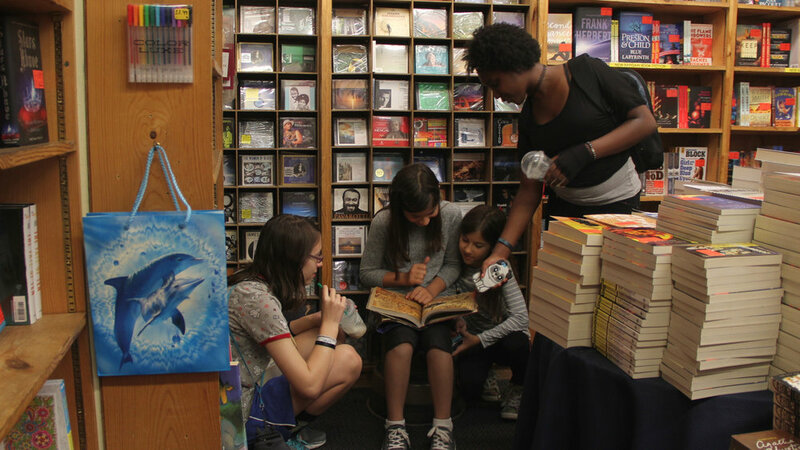 Our families come from traditional schools, alternative schools, homeschooling and unschooling. Each learner is a unique individual with a constellation of strengths and talents, challenges and needs, hopes and dreams. The one thing that unites them is that current institutions of education are not serving those strengths, needs and dreams. 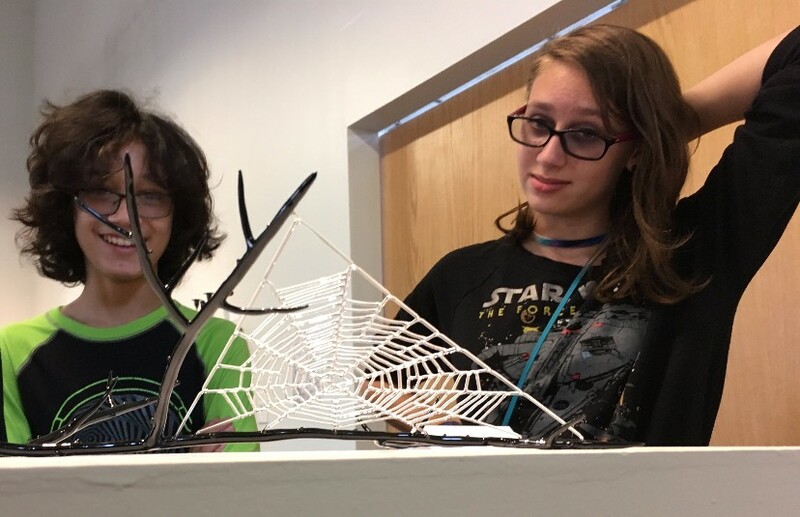 Art Appreciation's first class session took us to Glass Axis where we examined Kit Paulson's detailed and delicate sculptures. This spiderweb was crafted out of borosilicate glass! Every day we building a community where the humanity of our youth is acknowledged and their time is valuable. Childhood and young adulthood pass by quickly, and as we begin another year of learning, we are intimately aware of the the growth and changes happening for our members. 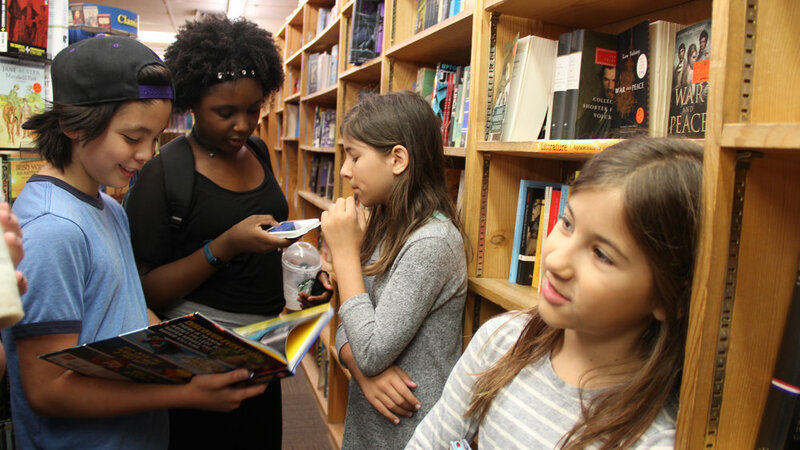 Teens get taller, voices get deeper and minds get wiser. In the blink of an eye the seasons pass and our members travel farther along down the path of learning, maturity and adulthood. We'll be there watching with care all along the way. Thank you for sharing the journey with us. Summer has been an amazing time of growth at the CLC so far. We've added several new community partners, developed connections with volunteers who are hoping to pitch classes this fall and welcomed a new enrollment coordinator to our team. This is Kim Porter, M.Ed our new Enrollment Coordinator! Kim Porter, M.Ed. is the newest member of our staff. She's a native of Cleveland and moved to Columbus with her family around 4 years ago from the Akron area. She has a Bachelor's Degree in Mass Media/Communications from Wilberforce University, a Master's in Education, and currently studying for a Doctorate in Education, both from Northcentral University. She is singer, songwriter, musician, and sometimes artist, and a published author. Kim is anxious to use her experience and learning to support families, help educate our members, and help them grow. Her personal mantra is "never stop learning." If you're interested in enrolling at the CLC for the fall, you can now send an email directly to kim@learning.coop and she can support you through that process. We spent the first week of summer creating a variety of world cuisines with Melinda Anderson. We explored the food and culture of Greece, France, India, Japan and (as pictured above) Mexico! Would you like to lead a class, or do you know someone who has a passion to share? Is there something that isn't on this list that your family is interested in learning? You are welcome to reply to this email to let us know what's important to you. On our last day of the quarter in June, the members organized a Pokémon party! We dressed up like Pokémon characters, had a Pokéball cake and one of our members learned how to use Photoshop to make her own Pokémon card. We also have some new community partners, joining us in our space and sharing resources. One of those is STARS Worldwide. "S.T.A.R.S." (Striving To Achieve Real Success) is an entrepreneurial, educational, experience, through music and the arts. 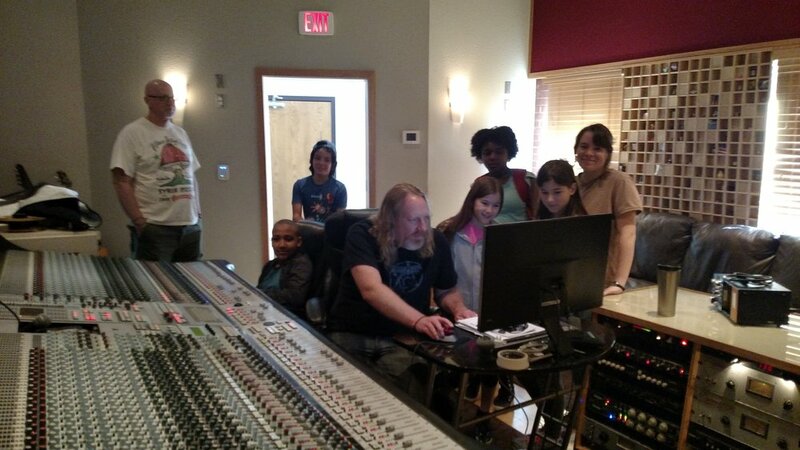 STARS provides an innovative approach to reach, and engage youth between the ages of 11-22 in unique audio, video and graphic arts programming designed to pique their interest. Many participants attend institutes of higher education including the Berklee College of Music, Columbia University and Full Sail while others own their own recording studios and or film studios. Several signed recording contracts with Sony Music, were winners of the Apollo, have appeared on American Idol, the “NewWave” International Competition, and have won countless awards. The program was created musician and producer Chris Powell who has worked with Stevie Wonder, Rick James, Destiny’s Child (Beyonce), Troop, Teen Dream and Paula Abdul. Powell has more than 30 years of music experience and was and artist and producer signed with Motown Records. We are happy to have him in our space as every afternoon, the 3rd floor of the CLC is filled with music, singing, and dancing. You can see more about our partners by visiting the "Partners" page of our website. If you feeling are curious about all that we do here and want to learn more, join us for our Open House on Friday, July 28th from 7-9pm. As our cooperative continues to grow, we are always mindful of our values: Radical Imagination, Community, Trust, Joy and Passion, Inquiry and Quest, Freedom, and Intuitive Action. We'll be welcoming many more new learners through our doors in August and as always, we are thankful for the opportunity to share the journey with you. “Children learn how to make good decisions by making decisions, not by following directions.” -Alfie Kohn"
"To understand our family's love of CLC I should first give a little background on our son's history with traditional schooling. Some hills were made to be rolled down! Our son completed fourth grade at a public school with an emphasis in the arts in the spring of 2016. 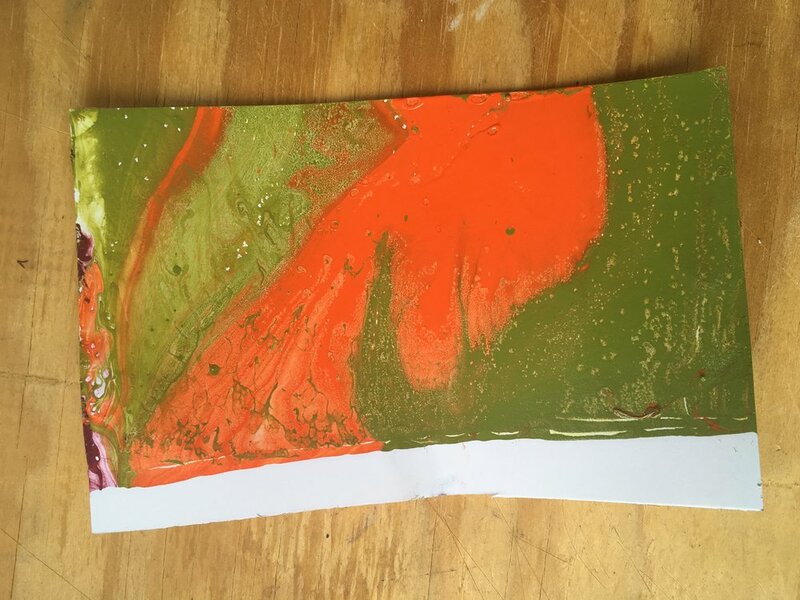 While we were initially excited he was able to lottery into this particular program as a kindergartener, we had noticed as the years progressed that he was becoming more withdrawn, his self-confidence, creativity and curiosity steadily diminishing and he showed little interest in what was being taught. What he seemed to be learning was through his peers, some of it shocking and disturbing for a ten year old. He would often come home and unleash all the anger and frustration he bottled up during the school day and it was becoming more and more difficult to reconnect with him. His inner life was becoming a mystery to us. Cary Harris, one of our newest volunteers is taking over Odyssey of Us for the summer while Tommy is away. Having read about alternative to schools and more holistic learning models over the years it was clear this public program was no longer working for him or us (his parents) and we decided to try our hand at homeschooling/unschooling this past fall. We heard about CLC through a friend and decided to check out the winter open house. Once our son found his way to the lego room he was hooked. We opted to try one day a week at first. Within the first month our son was asking about attending more days and now he attends 3 days out of the week. I often tell friends, he likes me drop him off early and pick him up late. I've caught him multiple times jumping out of bed in the morning exclaiming; "Yes! I have CLC today!". We visited the Book Loft and picked up a few new books for our CLC library! One about Alexander Hamilton and one about Legos. All of the growth I have seen in him in the few short months of attending CLC have all been things that would never be tested on a standardized test. But it is the kind of growth that matters the most to me as his mother. He is no longer the sullen preadolescent of a year ago. He now interacts with adults with greater ease and is much more open to trying new things and making new friends. He opens up and talks to us non-stop about his interests. His creativity and humor have sparks once more. To put it simply, he's a happy kid again. 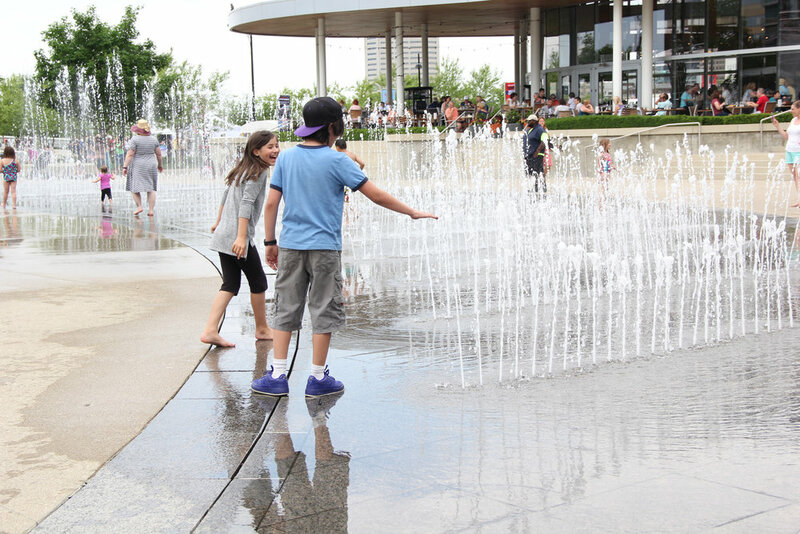 Some of our members decided to cool off by running through the fountains at the Columbus Arts Festival last Friday. While I believe our son's thriving is due to multiple factors, CLC is clearly on the top of that factor list. I think the intimate size of the class and the mentor/teacher's deep respect for each of the students sets it apart from most central Ohio programs for middle and high schoolers. In this deeply humane, holistic environment our son has found he is valued just for who he is and has been able to foster true student mentor relationships with the amazing staff at CLC. We hope that both our son and CLC continue to grow and flourish in the coming years." 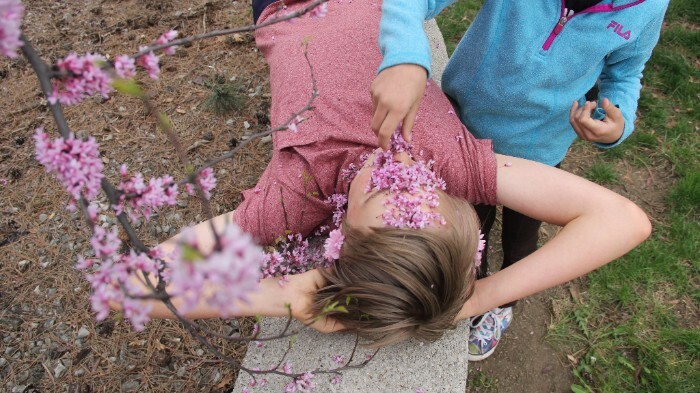 Spring has arrived at the Columbus Learning Cooperative. New members and capacities are developing in our fledgling co-op. Four new part-time members have joined us and several others have increased the number of days in attendance. Within our growing family, new relationships and community is budding. On a Friday during Odyssey of Us when we got all caught up with spring. We've also developed a new schedule designed to support parents of our members who also have children in public or private school and summer camps to support our students and community. Each summer camp will run from 9am to 3pm each day and are open to anyone between the ages of 10 - 18 years old. 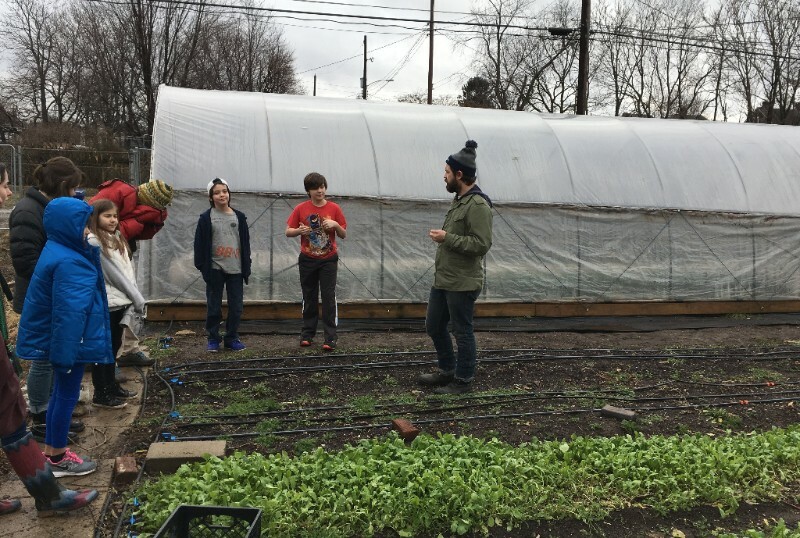 We're running Math Camp, Citizen Science Camp, Cuisine and Culture Camp, and an Urban Gardening camp in collaboration with Franklinton Gardens. Keep an eye out for more updates on these soon! Scioto Audubon for some bird watching, rock climbing and obstacle course racing! Elections were recently held at the Columbus Learning Cooperative. Because the founding students have co-created rules, they collectively decided that they need a method for holding one another accountable to these agreements. Using Robert's Rules of Order, they devised a system to follow when their agreed-upon rules are broken. Collectively, the members determined that two people would judge the infraction - an elected justice who would provide longevity and fairness, to work in collaboration with a randomly selected CLC member who is selected during each town hall. Two CLC members ran for judge, campaigned throughout the week, and convened for an election two Tuesdays ago. Speeches were made and all members voted anonymously for the judge. The students decided that voters would include all members attending three days a week or more. Shango Black-Smith was elected and gave a rousing acceptance speech. All this happened during Town Hall which previously only hosted to address problems, but now it happens weekly to empower CLC students to co-create our community and co-create the school they all want to attend. In this way, they are developing a structure of governance to address the emerging needs of our community. Each week a different CLC member chairs the meeting where we hear all suggestions and implement the decisions that are approved. Relationships among the faculty are also coalescing and we are creating a culture together. Each Wednesday morning the adult founders of CLC are meeting to address how best to support the student-initiatives, our own self-directed learning and one another. Together we developed a list of core values that we share and identified the behaviors and outcomes of living in alignment with these values. At the next Town Hall meeting we look forward to hearing how these values resonate with our student members. “Education is a process of living and not a preparation for future living." "If you wanted to change a culture in a generation, how would you do it? You would change the way it educates its children." When my kids were little I used to read them stories by Roald Dahl and I remember reading "Watch with glittering eyes the whole world around you because the greatest secrets are always hidden in the most unlikely places. Those who don't believe in magic will never find it." These words returned to me as I stepped into CLC for our second open house since opening our doors in September. I was greeted joyfully by four members of the Columbus Learning Cooperative and introduced to someone's beautiful grandmother: a warm, strong and sparkling woman. People were milling about - parents, kids, CLC families, current faculty, new teachers, evening program leaders, neighbors, artists, professionals. "(We know) It takes a village to raise a child and that's what we're doing at CLC. We're engaging the community to raise our citizens." As new kids arrived, the current students (our CLC family) enfolded them in warmth and delight and they began to move en masse through the space. 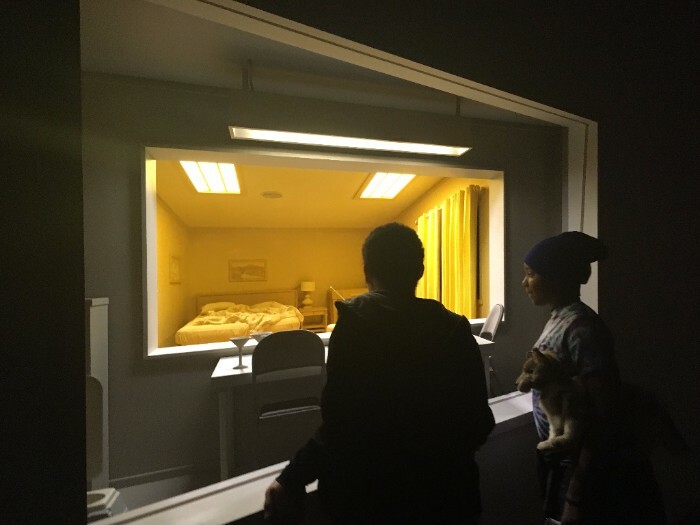 While giving tours they all became absorbed in first one thing and then another; playing a game of go in one room, making flipperamas at the light box in the next, viewing animations the kids have made in another, then the lego room beyond. "Since being at CLC [my son] has gone from being a kid who was miserable at school to one who cares deeply about his learning community. He is excited and happy to wake up and go to school in an environment where he feels welcomed and honored. Moreover his academic strengths have started to emerge in tangible ways that he is proud of. 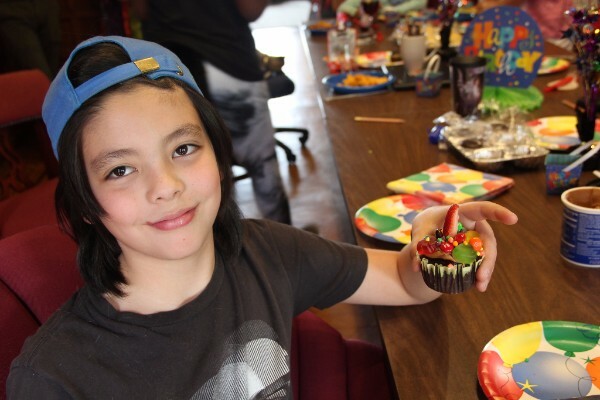 School has, in fact, become a “happy place,” and I credit the innovative, student-centered approach pioneered at CLC for giving him this space to become a self-motivated learner." People I've known from many different communities - community leaders, artists, educators, providers of contemplative or healing services - all came together in one place and one seemingly continuous sparkling moment that I experienced inside my heart as magic. The families of our current members were present, their friends and their neighbors. The founders of the school, the teachers and their friends. Joy breathed into my heart like a bellows. Laughter, rapt interest, profound gratitude and budding friendship filled the air. This is exactly what we hope to create at the Columbus Learning Cooperative. "It doesn't really matter so much what subject or information you teach but that you're passionate about what you're teaching. When kids see that you are passionate about what you do, it inspires passion in them." CLC would like to thank everyone who came to our open house. It was so much fun, we'd like to do one every night. But we'll definitely host at least one each quarter. So please come again! Our doors are always open. Tours are offered weekdays from 9am to 3pm to potential families and community members. Because the world is in such need for this kind of inspiration - for a dedication to creating environments which empower our children and allow good human society to develop and flourish- CLC is opening programs for adults to enjoy learning as much as our young members. 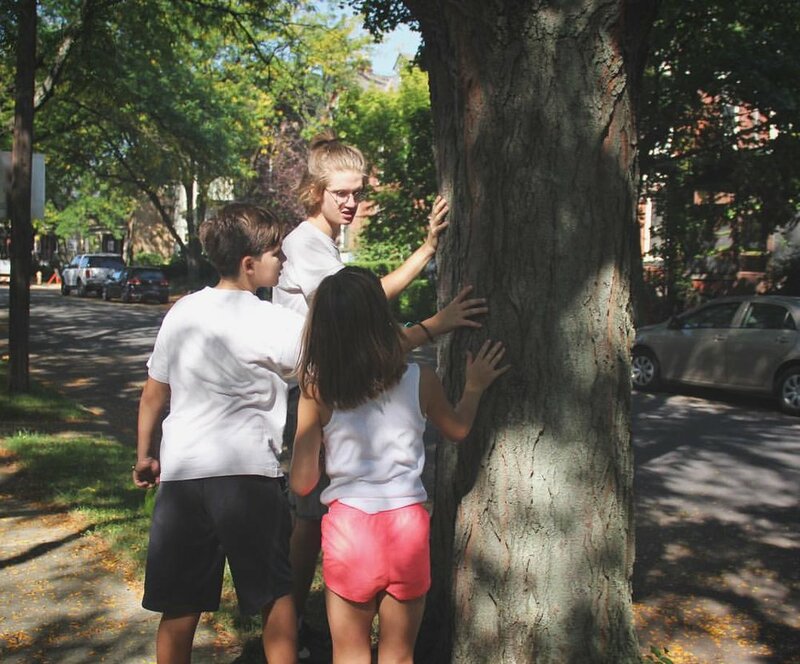 Each night we'll offer an opportunity to engage in folk arts, contemplative practice, non-violence, playful connection, homeschool community or neighborhood front porch gatherings. We'll notify you when our website is upadated, please visit learning.coop to learn more about these offerings which will be launched in April. "What makes me feel comfortable as a teacher is knowing that I have a different wisdom than others, and knowing what I can't offer can and will be offered by another faculty member. It puts me at ease and enables me to teach what I love; I don't have to hold the whole world on my shoulders." Let us know which themes most interest your 10-18 year-old! We are excited to cocreate the programs that matter to you most. Thank you for your continued support. You might not be surprised to hear that Devin Fraze, the director of the Columbus Learning Cooperative, has a practice of inviting wisdom into our school. But you might be surprised to learn that he does not only invite the wisdom of those aged 10-18, he also invites each adult to also step into their fullest potential here. He does this by inviting those who visit 731 E. Broad St. to share their particular gifts with the everyone else at the Columbus Learning Cooperative. Everyone is engaged. Everyone's unique capacities are valued. Everyone is empowered to share what they love most. And in this way, everyone thrives. Join us for an Open House February 23rd from 7-9pm! I loved watching Devin ask a twenty-year-old who was being tutored by him in math if she would teach here, and if so, what she wanted to teach. I remember her posture when he asked this question. This subtle rounding of the shoulders. A slight slump. And she responded "Me?! What could I teach?" He looked at her brightly and named her greatest gift - an obvious extraordinary competence that he recognized in her that she had, in fact, been cultivating for many years. And I remember how her posture lifted as she, too, recognized her own competence in this. Her smile ignited a sparkle in her eyes. It is beautiful to watch this over and over. The power of a young adult experiencing their gifts being recognized and celebrated. Maybe this is why the kids often don't want to go home at the end of the day. Learning about Franklinton Gardens during Odyssey of Us. It trains us to see, as a community and a microcosm of society, and it trains us to look for the gifts of everyone we meet. We don't just look for them, we expect them. We trust them. And we begin to recognize how beautifully the capacities that abundantly surround us dovetail with our own interests. The CLC was formed as a "school" for middle and high-schoolers - kids aged 10-18. We have full and part-time students who are the richest resources of their own learning. And now CLC is hoping to expand to offer these principles to people of any and every age. We want to invite the richness of the arts, to host the wisdom of community, to engage and follow passions and to discover paths of engagement in the realm of what we yearn to make possible in the world. The day and evening classes nourish and inspire one another. The principles of CLC can germinate during the day and come to fruition at night. And vice versa, the joyful work and practice in the evenings are reinvigorated by the play and passion and possibility of each day. The Folk School will offer dance, knitting, food-making, soap-making, candle-making, green furniture-making, toy-making, needle and wet-felting, fabric dying, fermenting and more. On Tuesdays we welcome the Columbus Acro Play Community to our space! Please also consider us also if your group would like to offer meditation, conflict resolution, and any other class that will support and enrich our community. Hosting open space for contemplation, healing and conversation. Young adults coming together to try to create something for the world and each other. An open studio of sorts! Families who homeschool in the Columbus community getting to know each other and making friends. Invite neighbors to gather and bring together families and friends, established residents and new arrivals. We can share food, stories, get to know each other and build relationships. We can share stories, recipes and expEach of us can model what it is like to be in community and enjoy getting to know our neighbors. Please check out these offerings on our website by clicking here. Excited by these possibilities? Come to our Open House on February 23rd and learn more or share your own ideas! Light refreshments will be served and you'll be able to see what our learners have been up to. It is nearly the end of our first quarter, and we'd like to share reflections and learning from our teachers with all of you. We'd also like to invite your reflections and your questions. Please write to us and call us. We look forward to continue building this learning community together! Our next Community Pitch Day will be on January 6th, so if you would like to teach a class, or know someone who would we'd love to hear from you. "We completed the risk game and reviewed strategies. Together we explored things we liked doing and things we didn't like to do and applied it to real circumstances. We looked at events that unfolded at OSU on the day they happened. We set up a timeline that included who and what and when while looking at different sets of data. We explored our beliefs and how each of us come to those conclusions. We are exploring what understanding can be developed with information from multiple sources and different points of view." Will likes teaching at CLC and he likes his students. But he thinks that his method of presenting classes will change next year. He feels like it is possible to be too educated in story writing and that teaching abstract ideas are not always accessible to his class. After all, how much can you connect with Freytag’s Pyramid or Aristotle's rhetorical situation? Instead of grammar and story writing, next semester he may approach writing from the experiential process of cooking. He likes to cook and likes to make stock. 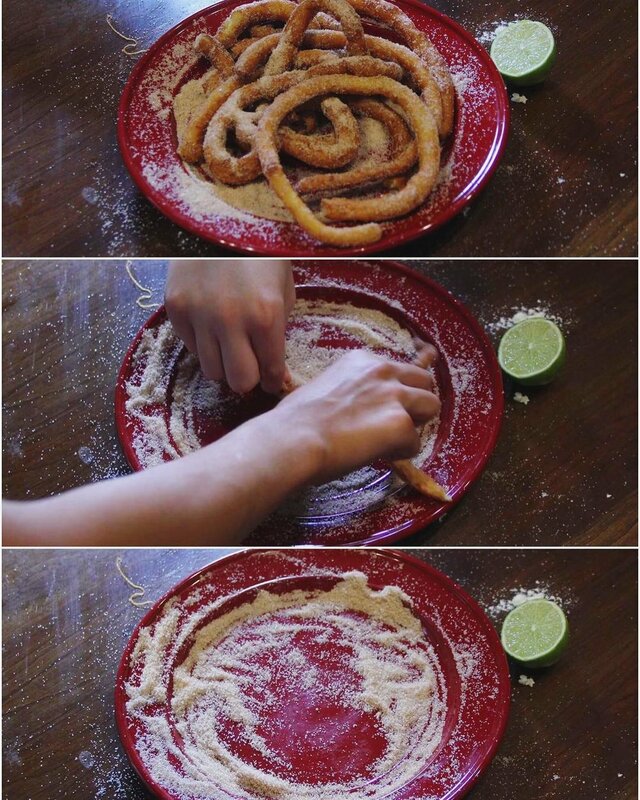 He likes learning how to make a good recipe that is healthy and tasty. One thing organized towards an end - like good writing. And a good life. We picked up quite a few books from the Big Book Sale at the Metropolitan Library. This isn't even a quarter of them! "All of our teachers, staff and volunteers are dedicated individuals and lifelong learners. As a collective, we have decades of life experience and a huge diversity of talents and areas of expertise. It is because of this fact, that the kids who attend the CLC have no better place to learn and pursue what their talents in life, no matter what the subject is. The CLC has the ability to attract individuals and students who have new things to throw into the mix, which makes us wiser. These are the strengths our members offer to each other." Living questions in a society that values answers; this is hard. We set the stage to live the questions by giving space for there to be questions, giving time for contemplation then giving both time and space to be with the unknown. Thanks to everyone who made it out to November's Open House! It was so wonderful to see our space activated with so many friends and family. Everyone we meet on our walks, or who comes through the door, or picks up their child - everyone has something to give or that we can learn from. It's been a time of great turmoil in the US. I always picture The United States as moving forward but progress is non-linear. It happens in waves and it happens in cycles. Sometimes you have to learn a lesson ten times before you really learn the lesson. Break boundaries, pull back. Push boundaries then come back to where you are comfortable. This is not a bad thing. If you were always pushing boundaries you'd simply burn out. These member (students) are part of a new generation and we have no idea what they are going to be like. We have no clue except for what we know about ourselves and our community. In some ways it is a curious thing - the process of unlearning is just as important as the process of learning. As we teach the members and share their growth. We are unlearning as a society how we've been - we're teaching while learning ourselves, or hoping to. 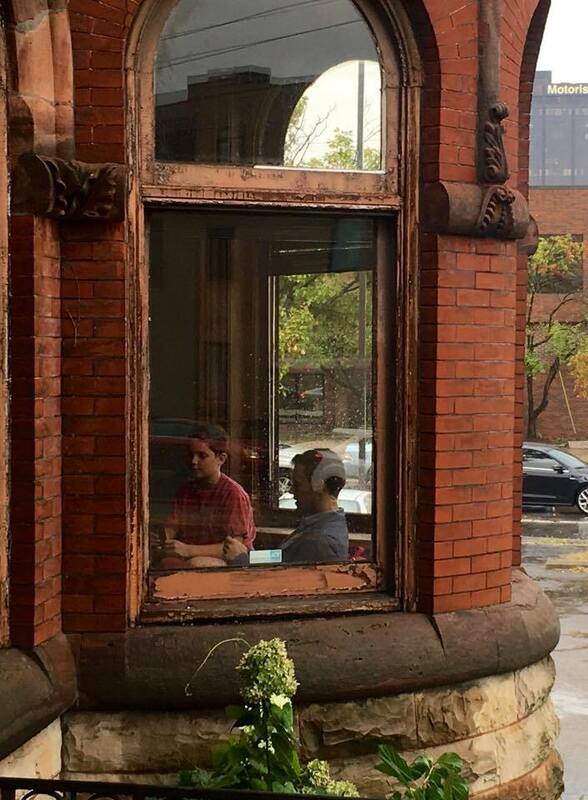 We'd like take this opportunity to share our journey and reflections of our first full month at the Columbus Learning Cooperative. "At CLC, we are all co-authors and co-creators. But understanding self-directed learning has not been without challenges. Deciding on cleaning and governance and roles has required each of us to be part of that discussion. This is often very new territory." Devin and Jeremiah playing "Go" in the garden on a table that Jeremiah built during Basics of Carpentry. Devin is currently teaching three classes. But what delights him most are the small lessons that occur all the time. It is not just running a class on habits or questions or math but being able to integrate habits and questions and math into every moment, when the situation is ripe and the kids are most available to that learning. That is what is most excites him about our program. Art Appreciation class on Wednesday at CCAD, checking out an exhibition of dioramas by world renowned artist Roxy Paine. "Everyone is becoming more comfortable with this idea [of self-directed learning] and with what might be possible. But even when you say "anything is possible," it is difficult to understand what that means. We don't realize that "anything is possible" is still informed by what we already know to be possible. Because of this our progress happens slowly. As [pioneers] of this program, [our first enrollees] are dipping their toes into the pool of infinite possibility- testing the waters and beginning to take risks and explore. That is what this month has been about." "In these processes, we are becoming more familiar with our surroundings. We aren't looking at our phones. We are not participating in a virtual reality. We are completely and whole-heartedly engaged in what we are doing. We are directly interacting with Columbus as a community and a city and as a place to learn and develop. 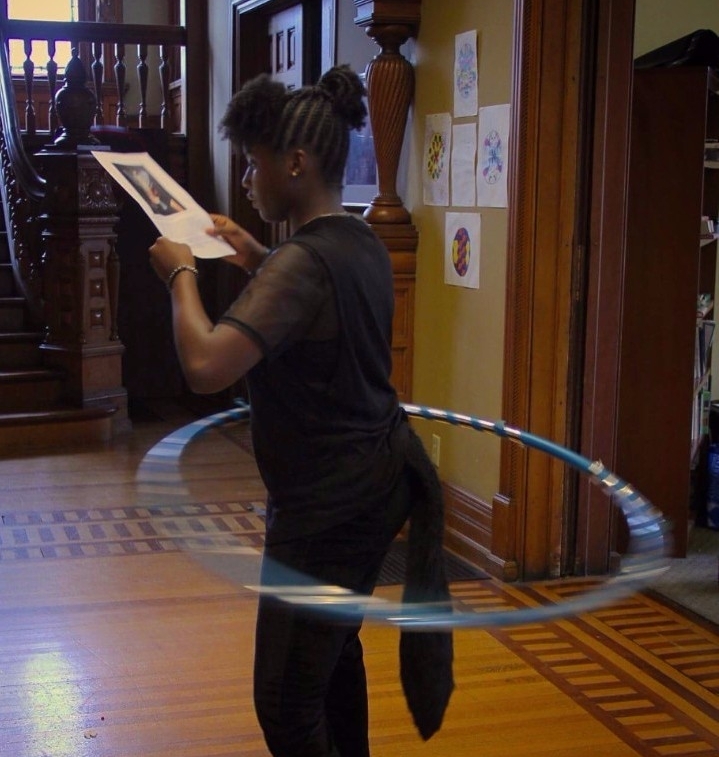 We are discovering the physical spaces inside Columbus and a world inside ourselves." Devin Fraze is introducing computer programming and cultivating the agency that connects curiosity to the vast resources of information and opportunity that are always available, WIlliam Dunlap is using Risk to teach critical thinking. Ulises Cruz is collaborating with Jeremiah to make a potato gun. Kate Weigel has taken her Art Appreciation class on four tours of exhibitions at Mint, OSU Wexner Center, CMA and CCAD. Tommy Jones is taking everyone out on Friday adventures to explore and discover buildings in our neighborhood. And we are each learning about ourselves - exploring our joys, our frustrations, our talents and our perceived limits. Everything, and everyone, has something to teach us. Please consider joining us next Thursday (the 17th), 7-9pm to learn more about our programs, find out how you can volunteer or enroll your student. There will be some examples of recent student projects and light refreshments will be served! All are welcome. It is such an honor and privilege to meet and work with your children each day. To discover their qualities, to learn from their experiences, to discover the world anew through their intelligence, compassion and enthusiasm - these are gifts to everyone who works at CLC. We are all teachers here. We are all learners. We have embarked on this journey of discovery together. We are creating more than just a learning environment. We are co-creating a new culture. We are collectively moving away from to-do lists, extrinsic goals and our sense of constricted time and space. At CLC, we thrive by becoming fully ourselves. We touch into our own hearts. We become curious about who we care about and what we love. We find that there is nothing but time and space for discovery. We navigate relationships with ourselves and others and our inherent potential through sensitivity, curiosity and joy. In this way we are perpetually discovering what is possible in this season, on this day and in this moment. We don't arrive at the beginning of each day knowing what exactly we'll do. We discover it. One day we might discover a new building - our own - through a treasure hunt. The next day we might discover a new self-awareness through a check-in question. Or we might discover a new goal or aspiration a letter we write and mail back to ourselves at the end of the year. At any time we might discover we're hungry and eat. And each Friday we will discover something new about our city through adventures with Tommy Jones, one of our adjunct instructors. Each day begins with a check-in and ends with a check-out question and a conversation. Next week, our classes will formally begin. You can check out a descriptive list of all the classes that were pitched to the students here. Each CLC student has a schedule based on their own learning interests. Each CLC student will have free time each day with friends to explore and experiment with their own interests and talents. At yesterday morning's check-in, contemplating our last open day before classes, Devin asked "What do you want to do today?" They collectively decided to make a potato launcher. 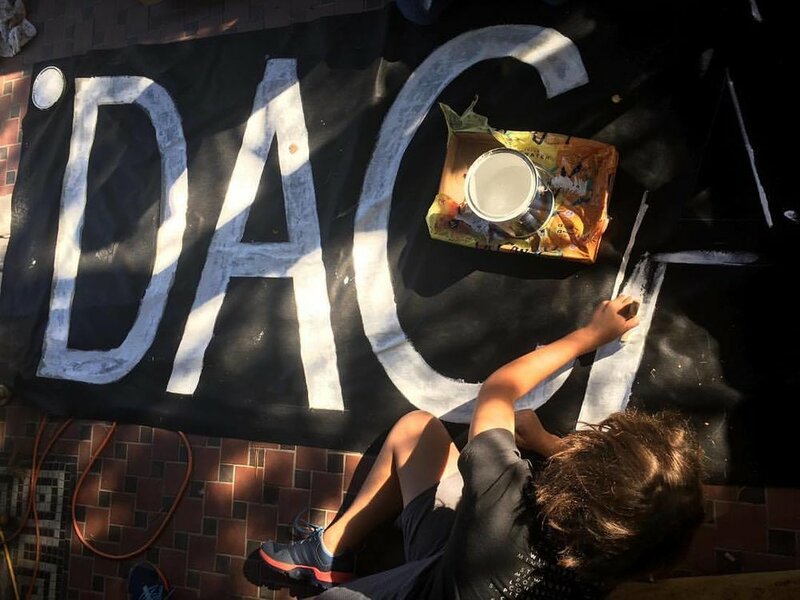 They then divided tasks amongst themselves, delegating someone to learn how to make the launcher, another to identify the materials and a budget, another to investigate both the agreements they'd collectively made earlier in the week (DA RULEZ) when they'd decided to bring no weapons into this space and state laws about the legality of potato cannons. Yesterday, William Dunlap came in to speak with all our students. He will be teaching grammar, critical thinking and a writing workshop in the classes that start next Monday. He requested these conversations with your children this morning in order to design his curriculum in alignment with each learner's interests. We all gathered around the table, and William asked each of your children what they care about, what they are reading, what hobbies they love and what they want to learn. Together, they co-created a curriculum for three classes. William founded an inquiry in critical thinking Jeremiah's strategic games, storytelling and grammar and spelling through Nia and Emma's favorite books and art, and might introduce plot and character development through the animated series Shango is planning. The final photos from picture day will be shared with you next week. In our weekly one-on-one mentoring meetings, I have and will continue to spend time with each CLC learner. This is one way we learn about their aspirations, challenges and goals. I have also asked each one of them how they'd like us to support them. My role here is "mentor" but this is not a one-way role. In a way, we are actually mentoring each other and perpetually learning how to learn together. This is how our days have been unfolding at CLC. Each day I find that we have greater trust in ourselves and one another. This creates the causes and conditions for great joy and curiosity. We will be writing to you twice a month to share updates about our progress and experiences. Please consider us as partners committed to supporting your children's passions and interests and well-being. Contact us whenever you are curious about what we're doing, longing to connect or to share challenges or inspiration. Your family has just grown larger. East Broad Street is your home away from home. We're all in this together.